This self-selected group of exceptional C-Suite leaders are using facilitated deep-dive questioning to reassess some of the industry’s most complex, intractable problems – from human resources to customer experience to serving a changing clientele – and discovering hidden assumptions and contradictions in many traditional practices. They are creating highly effective strategies for change. Several years ago, Steve Moran, provocative publisher of Senior Housing Forum, stumbled across the concept of “unconferences.” Rather than having “experts” speak and panel discussions, those interested in a topic or industry would form a workgroup – and unconference – to share information, resources, and ideas that lead to new and better ways of doing the things they are passionate about. Steve’s immediate thought – we need this in senior living! Then, in the summer of 2107, Steve and his good friend Denise Boudreau-Scott began to ponder the possibilities of joining forces. Denise is President of Drive and specializes in assisting organizations to create desired outcomes through culture. She and Steve together planned to facilitate an unconference to address senior living’s human capital issues. In conjunction with the Pioneer Network’s annual meeting, they kicked off an inaugural meeting – which was an amazing success! It consisted of 13 individuals representing 11 senior living organizations. Some were large, some were stand-alone; some were emerging, others were well established. Proprietary and not-for-profit organizations were almost equally represented. At the end of the day, Denise asked the group, “What do you think?” The overwhelming consensus was that, not only was it a powerful, productive day, but that it shouldn’t end. Thus, Culture 2100’s “Inner Circle,” its founding group, was born. Its members retain access to the group’s resources and are automatically invited – at no cost – to future workshops. 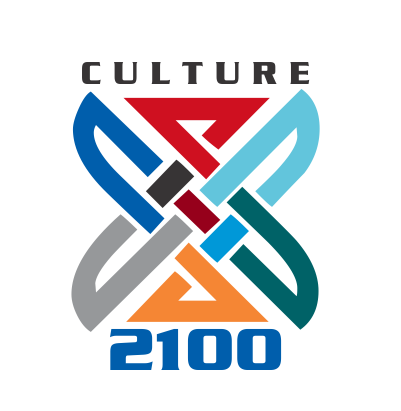 Culture 2100 members receive coveted invitations to small group summits of industry thought leaders. There they can forge meaningful, lasting professional relationships, while sharing advice, connections, and resources, as well as challenging each other – peer-to-peer – to provoke organizational improvements and individual change. Members are automatically invited to new a series of workgroups and attend at no cost. Workgroups are limited to 10 members and impactful days unlike any you’ve ever experienced. Bonus open office hours are offered and, you have a satisfaction guarantee. Members retain perpetual access to Culture 2100 resources and have acknowledgement opportunities on the website. They also are kept apprised of updates and additional relevant resources. The investment for membership is $25,000 per organization for a full year of benefits. For general questions or special requests let us know!